Use this hammer to install Premier netting with drivable posts (DP). 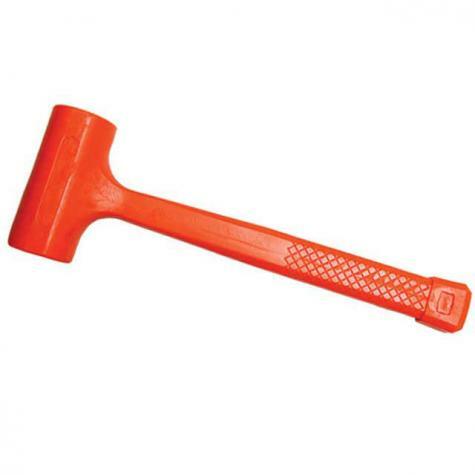 Netting with drivable posts include a built-in drive cap (brown in color) which can be struck with this Dead Blow Hammer or a non-steel mallet. Also useful when assembling game and poultry crates. See below. Best for installing ground rods or nets with drivable posts into hard soils. 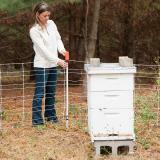 Electrified netting with sturdy posts designed to be driven into hard soils with a mallet. Useful for folks in dry or rocky areas. 42" tall electrified netting with sturdy posts designed to be driven into hard soils with a mallet. Useful for folks in dry or rocky areas. Pos/Neg capable electric net for high resistance fencing conditions. Used to contain chickens and other poultry. Best suited for hard or rocky soil. 42" tall. Used to contain chickens and other poultry. Same electrifiable mesh as standard 48" tall PoultryNet, but with stronger and stiffer drivable posts. Plastic transport crate/box for game birds including ducks, quail, pigeons and other poultry. For moving birds in/out. Also works for some small animals. Easy-to-slide top/side doors for placing birds in and letting them out.